The internet lost its collective mind last week over the reveal of the Nintendo Switch, a console which promises to seamlessly bring together the handheld and console gaming experiences. But while the video gave us a good idea of the general look and feel of the console, it was surprisingly light on details. That’s all set to change on January 12, when Nintendo is promising that we’ll ‘learn more’ about the new system courtesy of a live-streamed presentation, with the exact time yet to be confirmed. 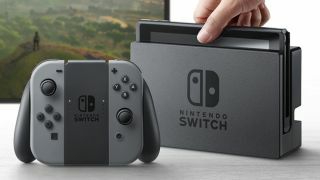 At the very least we expect to hear a firm Nintendo Switch release date and price detailed at the event – but it would also be nice to get firm details about what launch titles we can expect from the system, as the games shown in its reveal trailer have failed to be confirmed for release. We could also do with some full technical specs, so that we can stop worrying about rumors of the Switch’s three-hour battery life. Following the event there are set to be Switch sampling events for "invited media, partners and consumers" in the US and Europe, with further public showings to come at a later date.